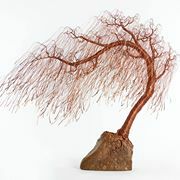 Artist and sculptor Ryan Kelley creatively transforms wire, wood, metal and stone into unique pieces of art. 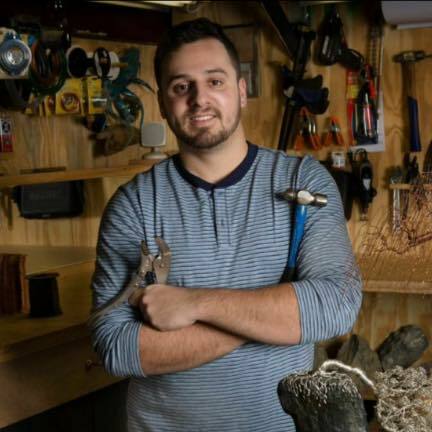 He has created over 250 sculptures residing in homes and businesses in Boston and throughout the country. 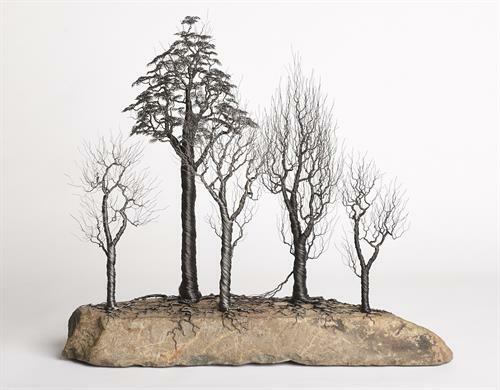 Over the years his pieces have grown in scale and intricacy, much like his signatures trees crafted from hundreds or even thousands of wires. A self taught artist, Ryan began creating art during free time in high school. His works quickly became small gifts for friends and family and eventually transformedinto beautiful pieces of art. After receiving a Silver Key from the Boston Globe Scholastic Art Awards show, Kelley submitted his first of many wire sculpture pieces to the Newburyport Art Association (NAA). He has received numerous awards for Best Work in Sculpture. Ryan has been a member of Board of Directors for the NAA since 2014 adding a youthful and innovative perspective to the board. He loves visiting local schools to help and inspire other young artists to follow their passions in the arts and is involved with Triton Regional High Schools since graduation. Clients can select from Ryan's collection of completed works or he is available to create a bespoke piece of art for your home or business.